The show for RTTB 20 has become real exciting! Click here for details on "The Show"! RTTB 20 is in the works. We want this 20th anniversary to be a big one. If you've been to RTTB before or just wanted to... make the 20th the time to return or go. Even if you no longer have your PT, consider joining us for this anniversary. The HOTEL INFO is up and going. You can make your hotel reservations now. Click on the HOTEL link above. 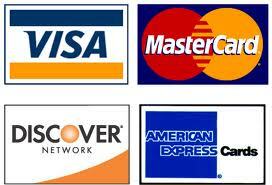 We now accept these credit and debit cards at the show ! The Return To The Beach event will be open to all PT Cruisers as it always has been. Personal club affiliation (if any) is immaterial. Starting in 2005, this event was as it originally started, an independent event with no national club affiliation. We welcome any club, organization or business that would like to donate items for raffle and will gladly show you as a sponsor. We also welcome any trophy or class sponsorship and of course cash donations. Proceeds after expenses from this event are for the American Cancer Society and all cash and material contributions are tax deductible. 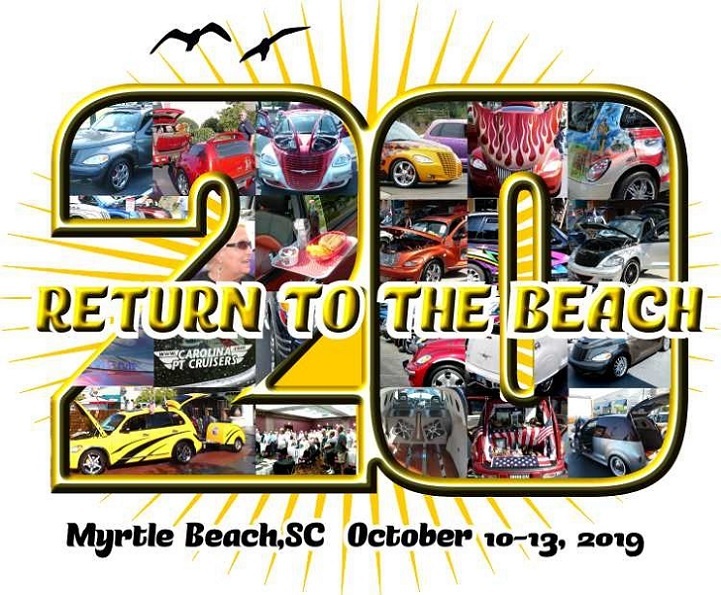 PRIVACY STATEMENT: Any personal info provided to the "Return To The Beach" planning committee when signing up with the REGISTRATION FORM for this event is not shared with anyone including any national PT Cruiser or Chrysler organization. All info including email addresses will remain private. Your privacy is as important to us as our own personal info, rest assured it will remain private and not shared with any third party.